Local Attorney James Parent Joins Weld Riley, S.C. The Eau Claire law firm of Weld Riley S.C. is pleased to announce longtime attorney James T. Parent is joining the firm starting December 1. “It is truly an honor to be joining the talented and highly experienced attorneys of Weld Riley. I am beyond excited,” said attorney Jim Parent. Parent comes to Weld Riley from the law firm of Schofield, Parent, Mayer & Huff, S.C. where he handled plaintiff personal injury and family law matters. Parent has been involved in multiple cases resulting in verdicts in excess of $1,000,000.00 and has represented clients who have sustained catastrophic brain, neurologic, and orthopedic injuries, as well as those suffering from the death of a family member. His family law practice includes, but is not limited to, divorce, post-divorce issues, custody, placement, maintenance/alimony modification, paternity, adoption, guardianship, grandparent rights, CHIPS (children in need of protection and services), and termination of parental rights. He has experience with high asset divorces, executive pay, and farm and business division issues. Parent was born and raised in Phillips, Wisconsin. 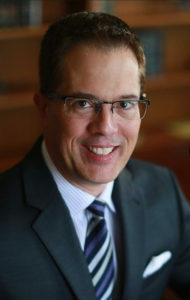 He graduated from the University of Wisconsin-Eau Claire in 1986 where he served with distinction as the University Student Body Vice-President. He later attended and graduated from Hamline University School of Law in St. Paul, Minnesota in 1989.